Recently, I visited Girona, the capital of the province of the same name in Catalonia. I only spent a few hours in the city, but the time I spent there was enough to make me wish to repeat the trip. 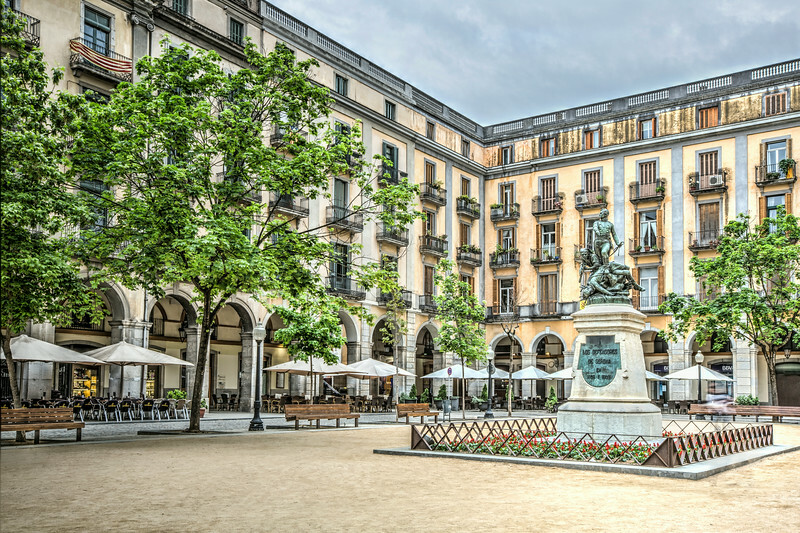 The photo is from Independence Square (Plaça de la Independència), one of the best-known and most frequented places in the city.